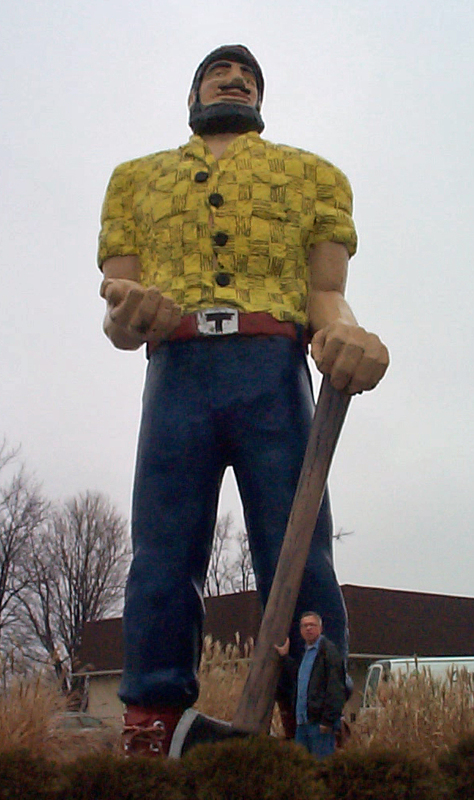 Muncie Lumberjack – The Home of My "Big Things"
This really BIG guy is a is not a Muffler Man, too big. He is pretty impressive standing outside the Timbers Lodge on the corner of Kilgore (SR32) and Tillotson across the street from the rail line. We didn’t stop at the Lodge since it was only 10am. Thanks Steph!